At Delhaven, our neighbors do not live in our workplace, we work in their homes and are blessed to do so. We offer long-term units and therapy units, each offering a variety of amenities and services. Our center is a family-friendly environment and our staff is compassionate and dedicated to our neighbors. Each traditional suite is designed for safety, comfort and convenience. Each suite includes free cable, thermostat control & comfortable bathroom. Delhaven Manor’s mission is to continually deliver specialized comfort and quality care. We focus on person-centered care where residents are treated with compassion, diginity and respect. We are conveniently located in the Central West End. Our facility has been an integral part of the St Louis community since 1965. Delhaven provides 24-hour nursing care, transportation services, board certified licensed physicians, and therapy services. We provide quality care in a comfortable, friendly, home like setting. Our professional and compassionate team will make your loved ones truly enjoy their golden years. According to CMS.gov Delhaven Manor is a 4 Star facility with 5 Star Quality Measures. Let us enhance your loved one’s life. Stop by and experience our community for yourself! 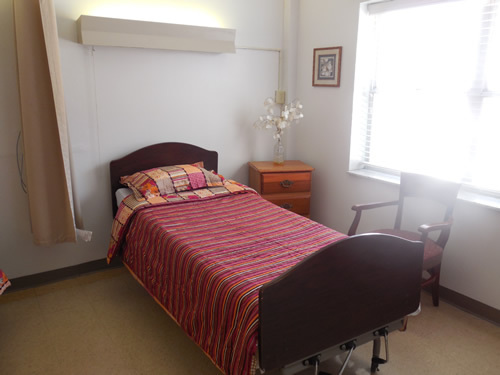 Delhaven Manor’s mission is to continually deliver specialized comfort and quality care. We focus on person-centered care where residents are treated with compassion, diginity and respect.